The Rigit Borescope is designed to work with a wide range of different industrial applications. This unit provides a significantly higher resolution and a higher light broadcast. 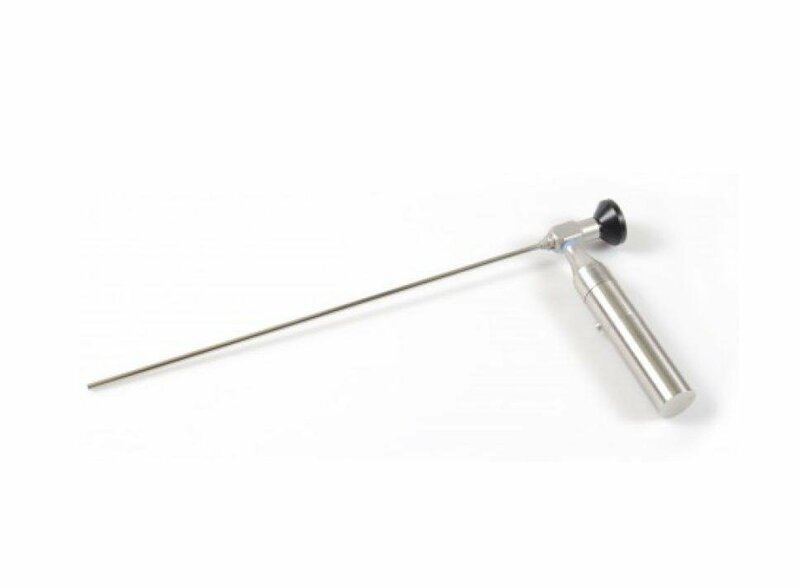 The body of the scope and the insertion tube are made from stainless steel. All exterior elements are fluid resistant. The coated rod lenses are ensuring a brilliant image quality with a great contrast and brightness. There are also additional lenses built into the tip of the borescope. Those lenses allow to alternate the direction of view from different angles (30°, 70°, 90° and 110°). A distortion-free image of the inspection is guaranteed. • Angle/ Direction of View (DOV): 0°, 30°, 70°, 90° or 110°. ACMI, STORZ, OLYMPUS, and WOLF Light post connection allows easily coupling to most light sources available on the market.